The volunteers of the Moscow Fire and Hose Company work and train tirelessly to provide the North Pocono community with a variety of quality emergency services. 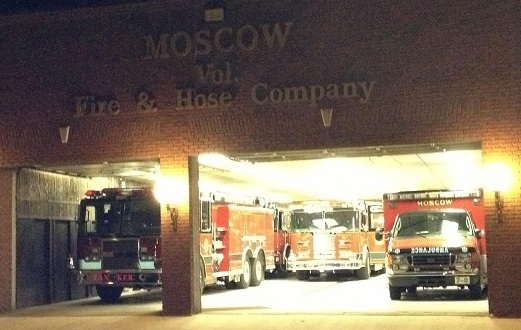 The Moscow Fire & Hose Company was organized in 1912 by members of the Moscow Community. The first vehicle was a hose wagon soon to be replaced by a 1914 gas powered chain driven fire truck. In those days, the Moscow Fire Co. responded to fire calls from the Dunmore Borough line and as far as Mt. Pocono in Monroe County. The Moscow Fire Co. handled all of southern Lackawanna County and parts of Monroe and Wayne Counties until around 1949. 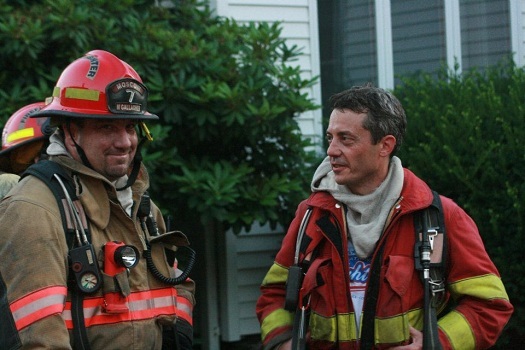 Slowly, surrounding townships started fire companies depleting the area in which we covered. 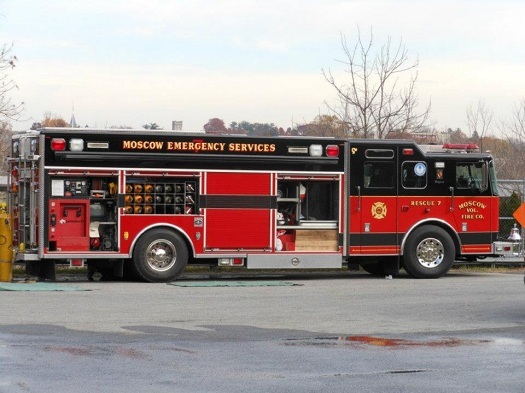 In 1959 the Moscow Fire Company started the first of its kind rescue service and provided the service throughout southern Lackawanna County and parts of Wayne County. In the same year, the fire company also started the first ambulance service in the area. The first ambulance was stationed at the Wes Franklin Funeral Home in Moscow and was manned 24 hours a day 7 days a week. In the early 1960's, Fire Chief Albert Cox was instrumental in starting many of the mutual aid organizations throughout the County. After creating what is now known as the North Pocono Fire and Rescue Assn., he was requested by the Governor of the Commonwealth of Pennsylvania, to help other fire companies throughout the state in setting up mutual aid associations. He was also instrumental in organizing the Northeast Volunteer's Fireman's Federation and became Lackawanna County's Fire Chief. In the early 1970's the Moscow Fire & Hose Co. moved from 106 S. Main St. to its present location at 117 N. Main St. after purchasing the A & P supermarket building. The members of the fire company turned the A & P into a modern fire station for the times, allowing us to park our several vehicles indoors in a protective environment. Also in this period of time, a large amount of EMS training started with the inception of State mandated courses for ambulance companies. The new fire station became a hub for training, both fire and EMS. In the late 1970's the Moscow Fire Co. bought it's first Hurst Tool for rescue calls, which were increasing at an alarming rate due to two new interstates opening up in our coverage area. The Moscow Fire Co. Ambulance also kept up with the times, purchasing several new ambulances during the period, moving up from Cadillac style to box type ambulances to provide more room for the crew and the patient. 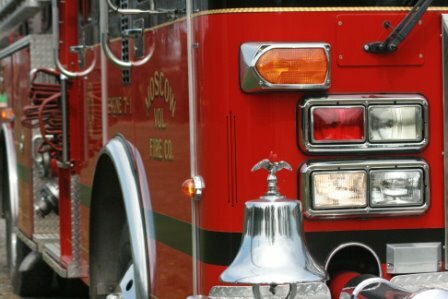 In the very early 1980's, the fire company did away with its fire phone system and went full time with the counties 911 system. The 1980's were also the time of the EMT for the department. An EMT was now mandatory to have on all ambulance calls. 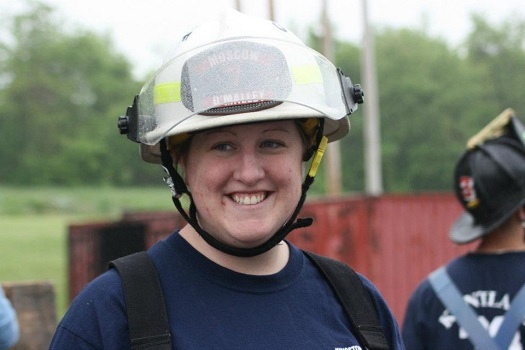 The Moscow Fire Co. stepped out front once again, and most of the members at the time went to school and became certified emergency medical technicians. In addition, the members also trained and became State certified and Department of Health certified as vehicle rescue technicians. A new Rescue/Pumper was also purchased during this time to house our increasing complement of rescue equipment. The early 1990's started off with our long time Fire Chief Thomas Knoll retiring and turning the reins over to a new Fire Chief. In 1992 a new rescue/pumper was once again purchased to house our rescue equipment and it was our first fully enclosed 6-man cab. Continuing our journey into the technology age, we added equipment such as a thermal imaging camera, AED's to our both ambulances, gas detectors, computers and revamped our entire radio system to include a repeater and MDC data burst with radio transmissions. It was also a time for renovations to our building. We bricked the front of the building, put a new floor in and re-did all rooms within the building. This includes a new bunkroom for the members to sleep in while on night crew, a new bathroom with shower and a locker area and a weight room for our members to utilize. 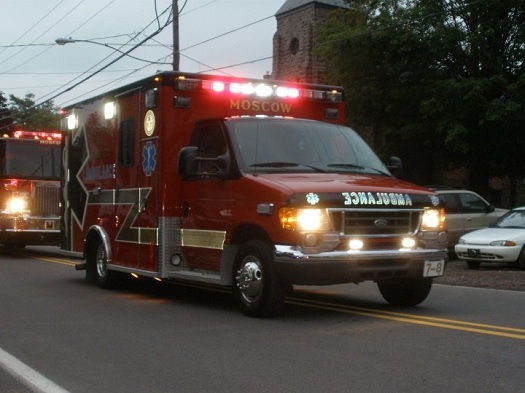 1n 1997, the Pennsylvania Emergency Health Services Council named the Moscow Fire Co. Ambulance "Ambulance Service of the Year", which is a state advisory board to the Pennsylvania Department of Health and local emergency medical service councils. The award was a great boost to the departments EMT's and paramedics and it showed the pride and commitment of this department to the communities we serve. On June 17th 1997, our department lost it's first member to line of duty death, John McClay Watson age 18 was tragically killed after injuries he suffered while involved in a motor vehicle accident when responding to an EMS call. John is missed by all. The 1990's ended with the delivery of a new Engine with a 6-man cab and 2000gpm pump. This vehicle replaced an older model American LaFrance. The fire company jumped into the 2000's by ordering a state of the art Rescue Truck, complete with an 8 man climate controlled cab, 4 pre-connected Hurst tools, cascade system, light tower and much more. We also lead the way in the implementation of uniforms and appearance standards when interacting with the public, by providing our members with class A, B and C uniforms. 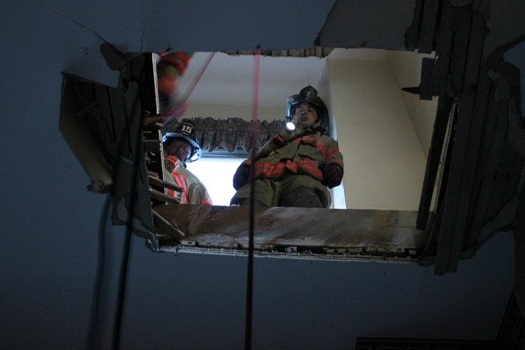 In 2001 we started a confined space rescue team, received the training and equipment to provide the service. In 2007 The department made two huge investments to improve the service we provide to the community. A new ambulance was purchased to replace an aging unit that had been in service for nearly 10 years, Also a new “Tanker Pumper” was purchased with the assistance of a federal grant to replace the 1972 Brockway tanker, which had been taken out of service. This new tanker was strategically planned to suit the needs of our community. It provides us with the large capacity of water needed to fight fires in the rural areas we serve while allowing us to carry much more equipment and personnel than traditional style tankers. We will continue to train and strive to be the best, to provide our community with the best service possible.